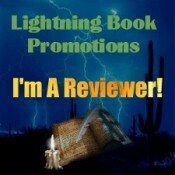 Wanna Blog Every Day In May? 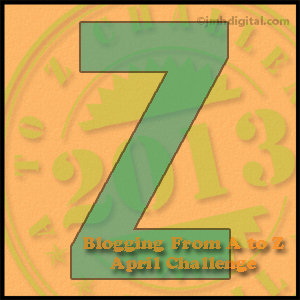 So I just survived the April A-Z Blogging Challenge. Barely. And I was all excited about only having one post a day for the next two weeks, then back to my usual lackadaisical posting schedule. (The other daily posts are for the second half of my 30-Day Fitness Challenge on my health blog.) So, then I saw a post on a forum about Blog Every Day In May. Apparently there are two separate blogs running different events. Both have themes for all 31 days to help you out. One is on Rosalilium and the other is on Story of My Life. I have not yet decided which – if either – I will do. 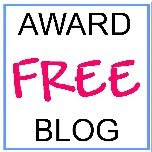 And of course, every month, you can participate in BlogHer’s NaBloPoMo (it started out as a yearly National Blog Posting Month – the blogger’s answer to NaNoWriMo). Now it’s a monthly event. That only has prompts for Mon-Fri.
And if you’re looking ahead to June, there is The 2013 WordCount Blogathon. This one even has writing-related prizes. You do have to sign up by May 31. So what do you think? Will you participate in any of these events? Do you think I’m crazy for even considering taking another posting challenge? You know, I did warn you back on X that Z would be… interesting. I survived the challenge, and almost all of my posts were even written on the correct day. Here’s a final thought for you. Maybe you can file it under “zany” or something; it comes from a discussion the kids and I had this morning. You know that little twinge of tenderness/soreness you get sometimes right before an eyelash or eyebrow hair falls out? Imagine how annoying it would be if you got that same feeling on your head every time a hair fell out. There’s your weird thought for the day. You’re welcome.